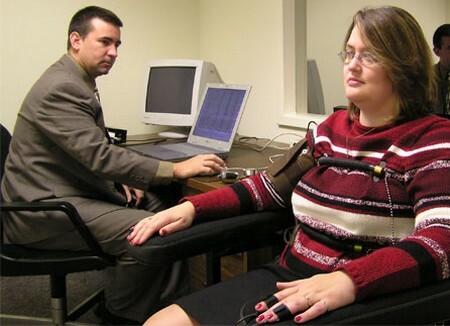 Polygraph tests are used in legal situations to determine if the person being tested is telling the truth. This test is based on the premise that when people are being dishonest their body naturally responds due to the fear of being found out. Whether you want to plead the fifth amendment on one thing or a variety of things there are ways to beat a polygraph machine. Here are a view tips on how. When you are asked a question that you want to answer in the negative to simply recall a real situation that you would say no to. For example, if you are asked have you ever committed murder and you want to answer no then think of an actual question that would require you to answer no honestly. You are answering the question in your head and not the question asked. The polygraph machine is unable to pick up on this, it can only measure your response which is a truthful one in your head. This is the most popular way used to beat a polygraph. Answer the questions you are asked directly and shortly in a yes or no manner. Some people feel like they should explain or validate an answer. When you don’t answer directly and you get off track into a story of explanation, your body rhythms may change. If you get nervous at speaking then you should stick to yes and no answers. This could work against you when being tested. The added nervousness and increase in movement, speech, breathing or heart rate can be interpreted as you telling a lie. Ask the examiner what questions you will be asked prior to taking the polygraph test. This will give you some time to practice your answer beforehand. Review the questions as many times in your head as possible. Memorize your answer. Answer in this same way when you are given the polygraph test. By doing this you train your mind to accept the answers as truth to deter the polygraph test. Make every effort to keep yourself as calm as possible while undergoing the polygraph test. Sometimes, the person is tested on body language as well. Things like excessive movements, tapping the fingers and excessive sweating all can be interpreted as dishonesty to a tester. Control your breathing while you are being tested. Try and make your breathing the same as normal. The way you breath during the test is monitored as a factor in your honesty. If you breath too fast it could be interpreted as you lying to the answers being posed on the polygraph test.